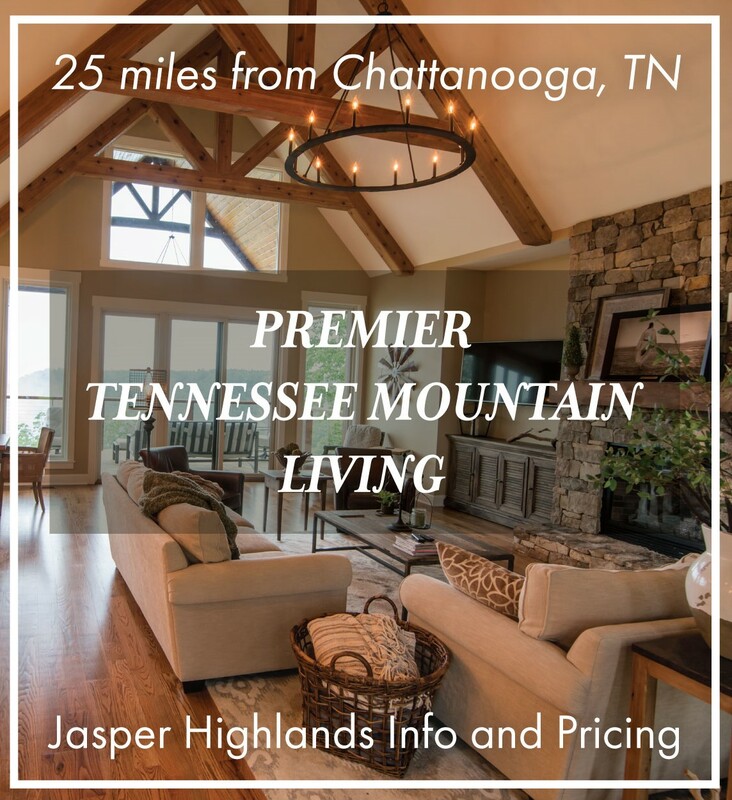 Jasper Highlands encompasses nearly 9,000 contiguous acres on the Cumberland Plateau half an hour west of Chattanooga, 90 minutes from Nashville and around two hours from Atlanta, Birmingham and Knoxville. The property features creeks and woodlands, two dramatic waterfalls and more than 21 linear miles of bluff frontage with long-range views overlooking the Tennessee River, Lake Nickajack and the Sequatchie Valley. Land for sale at this southeast Tennessee mountain community includes a choice of small acreage homesites suitable for a log home or mountain cabin, and large acreage properties. Tennessee land for sale adjacent to the 7,700 acre Franklin State Forest. Located near Sewanee Tennessee, The Ridges at Franklin State Forest offers mini-farms and large acreage land for sale. These beautiful mountain properties are suitable for hunting, camping, or a family mountain retreat. Minimally restricted with the added protection of a mechanical gated entrance.